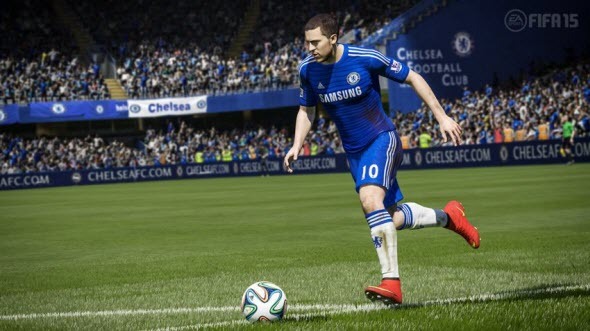 FIFA 15 review: is it something new or a good old FIFA? Dear fans of this football simulator series, have you already tried out the new part in FIFA franchise? No? Then you are at the right place, because today we are going to tell you what the next instalment in FIFA series is and whether it costs its money or not. Let’s find out together. We’ll start our FIFA 15 review with the description of the project’s pros - the innovations and the improvements, which set this game apart from its predecessor. Thus, first of all, the quality of the graphics in FIFA 15 is worth mentioning. Unlike the last year’s version, the new part in FIFA series has rejoiced the fans with a really improved graphics (especially it concerns the PC version of the project) thanks to the updated EA Ignite engine. Now, the footballers in the game are not only more similar to their real prototypes, but they also behave like the first ones. 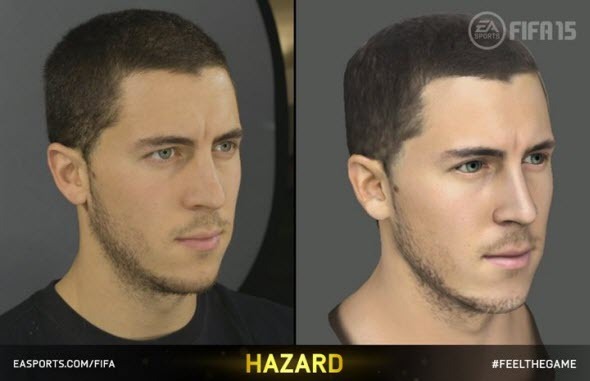 Thanks to 3D scanning system, which has been used in the game, you are able to see the smallest traits of the footballers’ faces and enjoy their mimics. The significantly improved animation has also become one of the nicest innovations, because now you aren’t play the senseless robots but can see the footballers’ reactions on the miskicks, the goals and the collisions with other players, and it makes the whole project more realistic. Another pro is the changes in the physics of movements. First of all, the players themselves move more realistically now, and their clashes with other footballers don’t look so unplausible and funny as they were previously. Secondly, the developers have finally fixed the ball’s physics - it’s neither a fuzz anymore, as it was in FIFA 12 and 13, nor a huge weight, as we saw it in the previous instalment in this footbal simulator series. And it means that the ball is controlled more realistically. Also, this year, the developers have finally got around to the goalkeepers - a weak composant of the whole series. The goalkeepers in FIFA 15 are more vivid and agile and are at their best during the penalty shoot-out, where you will have to try hard in order to score a goal to your opponent. Although, it’s worth mentioning that sometimes they seem to be an impenetrable wall. Another quite successful FIFA 15 innovation, as it seems to us, is the implementation of the new features to Ultimate Team - the multiplayer mode, which so far not only let you create the team of your dream, buying or renting the best players you are interested in (and there are a lot of the latter ones), but also compete with your friends thanks to the new Friendly Seasons mode. One more pleasant moment, which we can’t help including in our FIFA 15 review, is the enlargement of the FCs available in the game. Although the Campeonato Brasileiro Série A, which includes 20 teams, has been removed, the Turkish Süper Lig, the Ukrainian Shakhtar and the full English Premier League have been added to the game. Now, they are all licensed and look really cool. But as you understand, no FIFA parts can be launched without bugs or cons. That’s why we can't help talking about the developers’ mistakes in the new instalment of this football simulator series. As we wrote earlier, the movement’s physics in FIFA 15 has been significantly improved, but not everything has been done well. Thus, the physics of running looks absolutely surrealistic, because for no apparent reason they can accelerate to the unbelievable speed or slow down without any cause, or change the direction of the movement very quickly. Besides it, the forwards are able to turn and leave the football field just right in the middle of the match. Or can't the goalkeepers can go away from the goal and kick a football with other players, giving a good opportunity to the opponent to score. Also, neither the animations’ errors nor the stucks in the textures have dissappear, but you can see them rarer then in FIFA 14. And the last not very pleasant moment touches the features of the single-player mode, which, unfortunately, haven’t been changed a lot. So do not wait something really innovative or cool from your fight against AI, for example. Our FIFA 15 review is almost ended, and now we only need to put our mark to this project. Although this game has some significant gaps and bugs, which influence on the whole perception of the game, we think that the next instalment in FIFA series has been qualitatively changed this year, that’s why our mark is 8.5 points. And what do you think about this game? 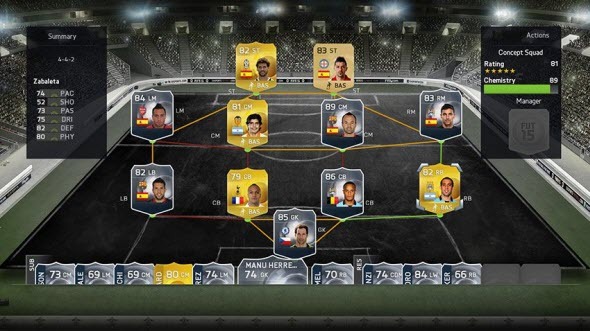 Has our FIFA 15 review helped you decide whether to buy this project or not?